.Link Domains - The top-level domain name for content, communication, connectivity and sharing. Establish, share, communicate & connect with .LINK domain names. .Link domains available now from £ per year. The perfect domain name for sharing, connecting & linking. Register .link domain names today! Connect site visitors with products, services, people & content with .link domain names. Drive more traffic to your website with a short, snappy & memorable .link domain. .Link domain names - No more missing or weak links in your online identity. Provide your users with the content and products they want with .link domains. Links are everywhere on the internet and are one of the primary building blocks of the world wide web. By connecting content, resources, websites and most importantly people, links are paramount to the success of a website. As the internet becomes increasingly saturated with existing domain names, it is becoming more difficult for people browsing the internet to find the links that lead to the information, resources, products and content that they require. This is where .link domain names come in. .Link is a short, snappy and memorable generic domain name which works well for brands, businesses and organisations as well as personal blogs and websites. Registering a .link domain is great value too, with prices from just £ per year with GetDotted.com. Due to their versatility, usability, cost and lack of registration restrictions, .link domain names are set to become one of the leading generic top-level domain names available. What can I do with a new .link domain? Registering a .link domain instantly communicates connectivity and sharing. You can use .link domains as your primary domain name or as an addition to your domain portfolio. 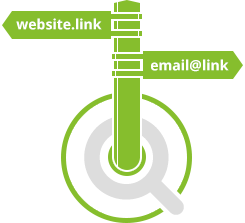 .Link domains are perfect for email addresses, for use as a landing/splash page or as a marketing tool for marketing and advertising campaigns which run alongside your existing domain and help bring your content together. .Link domains lend themselves well to online directories as well as professional & social networking groups, organisations and associations. Registering .link domain names can also be a great investment for domain brokers, as .link domain names are relatively new, meaning that many valuable and unique .link domain names are still up for grabs. However you choose to use your brand new .link domain name, you can be sure that you'll stand out, so don't delay, register your eye catching and memorable .link domain to setup your unique online presence today. Where & when can I register .link domain names? 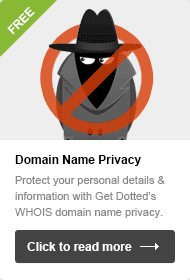 You can register cheap .link domain names immediately, right here at GetDotted.com! Simply type your chosen new .link domain into the search box below to check if your domain is available. 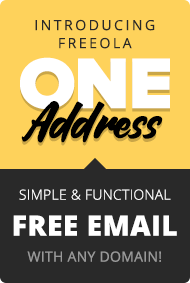 Remember, with GetDotted Domains & Freeola Internet you won't just get your new .link domain name, we'll also throw in free unlimited email and website hosting with our great free unlimited hosting offer. 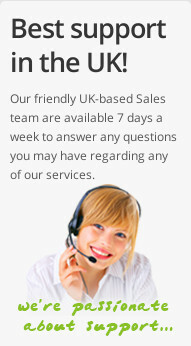 Our brilliant offers don't just extend to your new .link domain registration either. When you come to renew .link domain names (or any domain type for that matter), you'll save 10% on your domain renewal if you opt-in to receive renewal reminders by text message, and a further 10% if you choose to auto-renew, so don't delay, search for .link domain names with GetDotted today.